Southwest has pissed off its fair share of customers, bumping more of them from oversold flights than any other carrier last year. You don’t have to look to far to find disgruntled flyers saying things such as, “I have always flown Southwest in the past, but doubt I ever will again. Saying you care about your customers is not the same as actually caring.” Even the Department of Transportation has taken a swing, citing last week Southwest’s failure to reimburse bumped passengers promptly or give them written notices of their rights and fining the airline $200,000. Because, horror stories or not, Southwest is a player. Started in 1971, with three Boeing 737s serving just three Texas cities, the Dallas-based Southwest now operates 537 of those aircraft between 68 cities, making it the country’s largest discount carrier of domestic passengers. 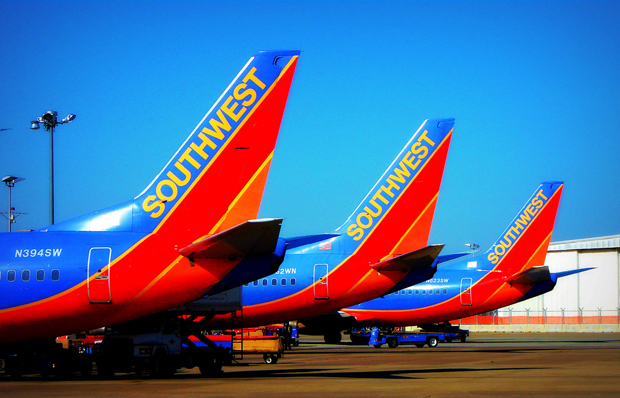 What’s more impressive is its balance sheet — 2009 marked Southwest’s 37th consecutive year of profitability. The newly merged United/Continental might win the prize for sheer size and international scope, but Southwest is the little economic engine that could. Cities are vigorously courting the carrier to consider their airport as the next stop in its growing roster of destinations. Though Ridley explained it was pure coincidence that the Food for Thought Conference coincided with heated debate in the South Carolina legislature to create incentives to lure discount carriers, he couldn’t deny the frenzy generated by the possibility of Southwest’s entrance to the market. The incentives bill would make up to $15 million available to South Carolina airports for enhancing air service and recruiting discount airlines. Business leaders and county officials in all three major metropolitan areas in the state–Greenville, Columbia, and Charleston–are jockeying for position (and scuttling to scrounge up their own incentives, match money, and other resources) to woo Southwest. Though it’s not quite reached the tenor of Greenville’s splashy bid against other U.S. cities to land Google Fiber, the effort by led Greenville and its surrounding counties would include a fund to serve as insurance in the event the airline lost money during its early years of operation. Ridley firmly denied that Southwest goes “shopping” for such incentives. “We don’t add cities just because it is fun,” he underscores. However, he did point out that Southwest’s newest destination — a new airport near Panama City, Florida — was helped by an accord with a Jacksonville real estate developer. St. Joe Co. will insure that Southwest breaks even by providing quarterly backup financing if necessary. As for the recent fine, it’s turned out to be a momentary sunshower in Southwest’s otherwise friendly skies, a high-priced slap on the wrist at worst. In a consent order, the DOT said it would waive $90,000 of the civil penalty if Southwest sticks to the rules next year. Also, Southwest can use $20,000 of the fine to develop ways to notify passengers of their rights and the airline’s policy on overselling flights. To illustrate this point during his conference presentation, he draws out a pocketful of customer comments extolling the virtues of Southwest’s caring and compassionate agents, attendants, and pilots. He concludes his program with a video loop of four recent Southwest television commercials, each a variation on the quirky campaign centered on Southwest’s “bags fly free” policy that uses the carrier’s real baggage handlers. Everyone’s smiling and clapping while Ridley confirms that not only did the employees get to shine, but Southwest got a very public boost in the minds of consumers. “It’s had a halo effect,” Ridley says.